Our services for you as a haulier are divided into 6 categories. A click gives you more information. • An NCTS (Transit) declaration is no longer required for the transport of goods under Customs supervision. • Movements of goods are visible to users and customs authorities. • Entries (input and take in transactions) and removals (output and take out transactions)are reported from the company’s own Warehouse Management System; results are displayed in the DGVS Web application. • Monitoring of incorrect entry and removal information. • Corrections can be made up to the date of the report to the Customs authorities. • The Customs authorities later check the accounts; no delays in the process. • A faster, simplified process. • Re-use of information for more transparancy and reduce of errors. • Real time status reports. • Online information on customs controls and inspections before built up and loading of the goods in the truck. • Faster handling at the ground handler, so more tranportations per day. • Consistent with E-Freight and reducing paper document flows. 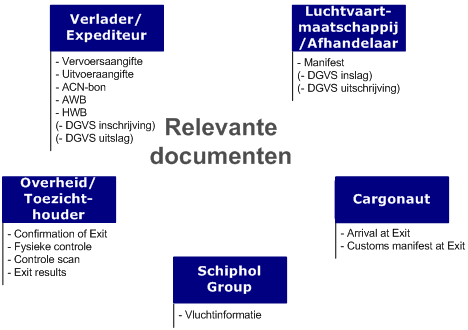 • Planned delivery enables a more efficiënt handling. • You know who will arrive, with which cargo and truck. • Online information on customs controls and inspections before unloading. 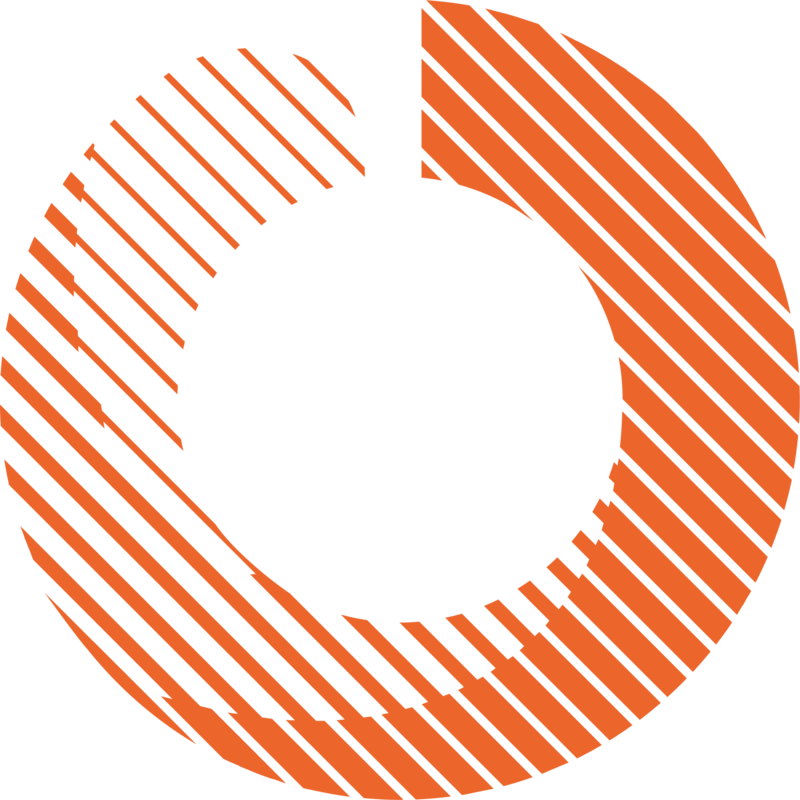 • Optimalisation of internal business processes. • Improves the safety of the freight processes. • The DGVS indicator: is the DGVS procedure properly completed. • The ECS indicator: are the ECS formalities completed. geeft weer of aan alle ECS formaliteiten is voldaan. • The Customs indicator: are there control messages from Customs, than the shipment will be treated separately by the ground handler. • The Security indicator: indication if security details are present. • The Paperless indicator: indication about the paperless status of a shipment. • The forwarder creates via E-Link a part ride or visit for the shipment, which is ready for export. • The truck and the ACN pass of the driver is linked by SmartLOXS desk-VIEWER at the location of the forwarder. • The forwarder creates a ride or trip, with one or more partial rides (visits) for all shipments for this truck and driver to be delivered to one or more handlers. • A pre announcement is sent to the handler. • By offering the ACN pass at the handler’s gate the holder of the pass is known. Also the license plate of the truck is read automatically and Customs and E-Link status is checked. At the background also the relation between registered agent en known shipper is checked. A matrix sign directs the driver to the next process step. In case of a customs inspection the driver will be directed to an inspection location. • After the identification of the driver the goods can be unloaded. • After the unloading the driver and the warehouse supervisor both sign electronically for the transfer of the goods. This transfer, the date and time, the location and the persons involved are now registered and visible for forwarder and handler. • If a shipment is rejected, E-Links shows the reason for rejection. • The DGVS indicator specifies whether the DGVS procedure was completed correctly by the forwarding agent. • The ESC indicator specifies whether all ECS formalities have been complied with. • The Customs indicator specifies whether any inspection notifications have been received from the Customs authorities. If this is the case, the handling agent sets the shipment aside for inspection. • Comprehensive report of information exchange between the various parties in the export chain. • Status information for the transfer from the second-line warehouse to the first-line warehouse. • Exit Notification reports for the ECS (Export Control System). • Exit Notification Alert information for completeness of AWB for all underlying HWBs. • Digital ACN goods receipt (PDF document). • Image of Air Waybill and House Waybill. • Physical status of first-line warehouse. 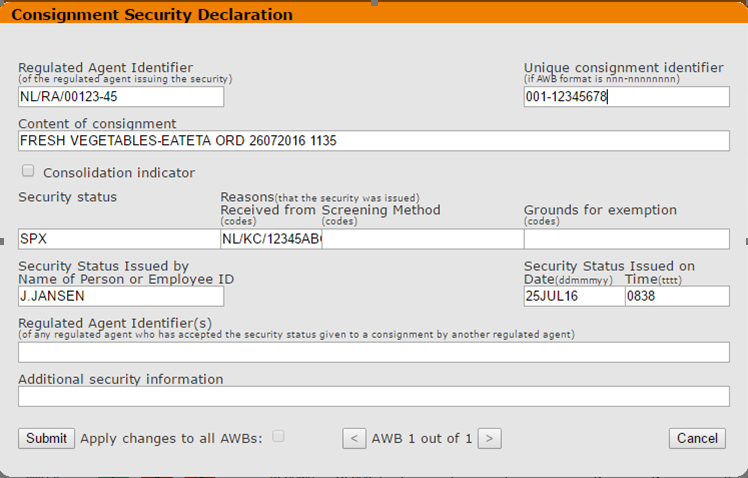 Aviation Security Assistant is a functionality within eLink for the input of security details, in case you do not use the Airwaybill (FWB) in version 16 or higher. In this way the “AvSec” indicator will show the correct security status and you avoid any delays at the handlers premises. You can also put in the security data if your shipment will be screened after you have sent in your FWB message. • Paperless delivery of goods, under conditions.